Standard or a custom watermark, which one do you choose? If you’re printing ID cards for employees, visitors, and contractors, it’s imperative that the cards are not duplicated or cloned. This is where both standard and custom watermarks can help. Watermarks are a form of design that can be both visible and invisible and are printed directly onto the cards surface during production. The benefit here is that your card now has an additional level of security. The watermark is not visible to the naked eye and only becomes apparent when moved to certain angles of light. When the user tilts the card to the light, further information is visible. The watermark can be a unique piece of text or a custom design that is only used by that organisation. A standard watermark graphic is a far more cost effective security solution and is more difficult for the card to be tampered with or altered. 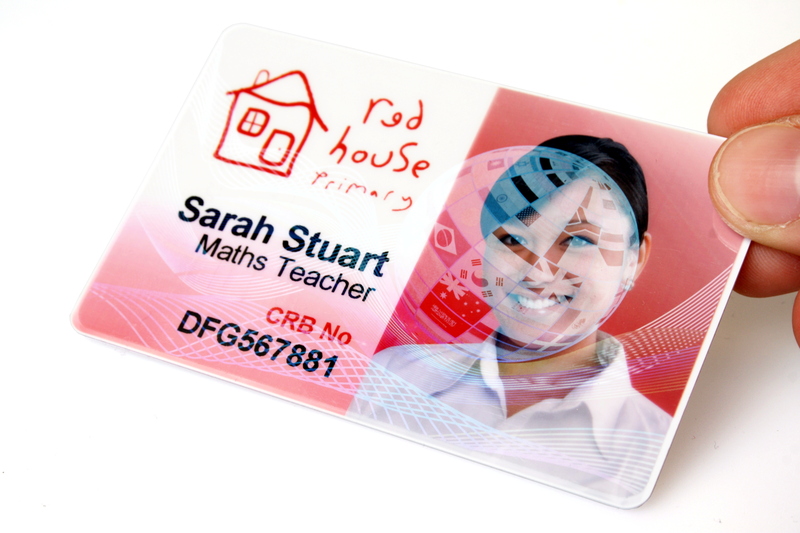 This unique anti-counterfeiting feature offers the ability to print a frosted watermark graphic across the whole face of your plastic cards, as seen in the image below. This is done during the regular printing cycle and doesn’t rely on any extra consumables other than a standard YMCKO colour ribbon. However, do bear in mind, that this does only offer basic security as anyone with a Magicard printer could, in theory, replicate your watermark. If security is top of your list, then we recommend opting for a custom watermark. The custom feature allows you to produce your own unique logo or text meaning any attempts of card duplication are less probable. If you’d like to know more about creating watermarks for your plastic cards simply click the link below and speak to one of our ID card experts.